Recently Richard Paul Russell Ltd loaned a test system to T in the Park for testing and feedback. The system loaned was a FlexiMet 2 system with WiFi connectivity. This allowed stage contractors to monitor and view wind speed and direction data anywhere via the local WiFi network. The system also logged all data onto the SpaceLogger.W8.Wireless data logger before it was transmitted over the local WiFi network. The system performed very well proving to be very reliable and accurate and allowing the flexibility for multiple contractors on and off site to view real-time wind data. 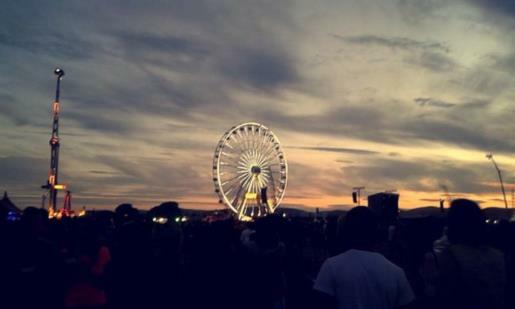 One piece of feedback was that short term events such as festivals and sports events would rather lease or rent a system for the duration than own it. Richard Paul Russell Ltd have on the back of this feedback started renting their FlexiMet Wind and Weather monitoring systems offering an extremely cost effective way of monitoring environmental conditions during an event. We thank all those involved for the feedback and look forward to supplying many systems to the temporary event market. Richard Paul Russell Ltd are proud to announce a partnership with Business and Industry Today Magazine aimed at promoting the benefits of the Kestrel 4300 Construction Weather Meter for those involved in concrete placement. 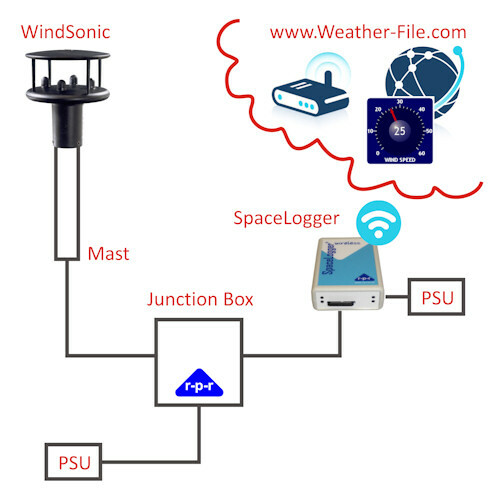 Weather and its consequences can be very expensive to contractors with professionals often relying on weather and forecast data from weather stations many miles from the actual construction site. Richard Paul Russell Ltd the official UK distributor for Kestrel Weather Meters launches the Kestrel 4300 Construction Weather Meter, aimed at the concrete industry. It delivers highly accurate current weather data and predicts future weather conditions with an automatic evaporation rate calculation to predict plastic shrinkage crack and surface crusting conditions. 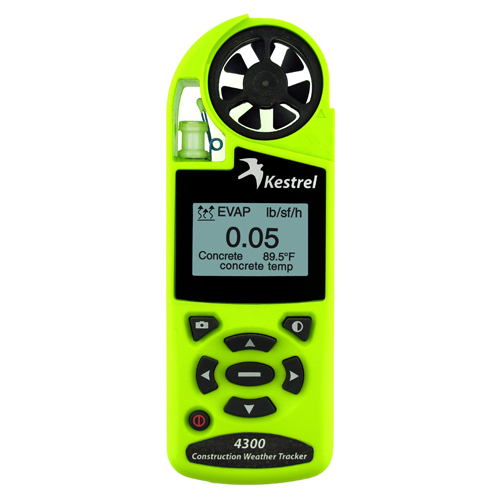 The kestrel 4300 is compact and hand-held weighing only a few grams.They report wind speed, temperature and relative humidity. The 4300 uses the temperature of the concrete (which you input) and calculates the rate of evaporation of surface moisture, letting you know if there is a potential for surface crusting. Knowing this prior to placement allows the engineer to put in place preventative measures. Previously construction professionals have used a traditional calculation taking ambient temperature, relative humidity (RH), concrete temperature and wind speed to plot the rate of evaporation of concrete on a nomograph, first introduced in 1952 by the National Ready Mix Concrete Association (NRMCA). A Kestrel 4300 now automatically delivers the number for you, you can relate this calculation to the product guidelines to easily determine if you are within tolerances. We believe this product delivers huge benefits to the construction industry and are delighted to partner with Business and Industry Today to offer all readers 20% off when they purchase online with www.r-p-r.co.uk using Promo Code K4300. 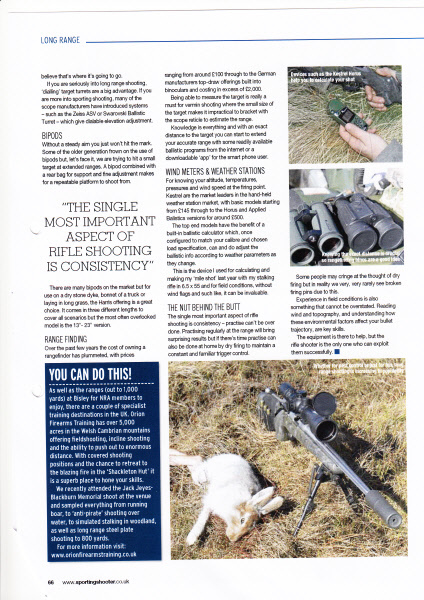 Chris Blackburn of Sporting Shooter magazine recently published a fantastic review of the Kestrel with Applied Ballistics. We loaned Chris a unit for 6 weeks and in that time he put it through its paces in real-world testing. The outcome of Chris’s test was incredibly positive with the key message that this new product can help deliver increased consistency and accuracy in the field. Chris used the device to make a ‘mile shot’ with a stalking rifle in 6.5 * 55 in field conditions. 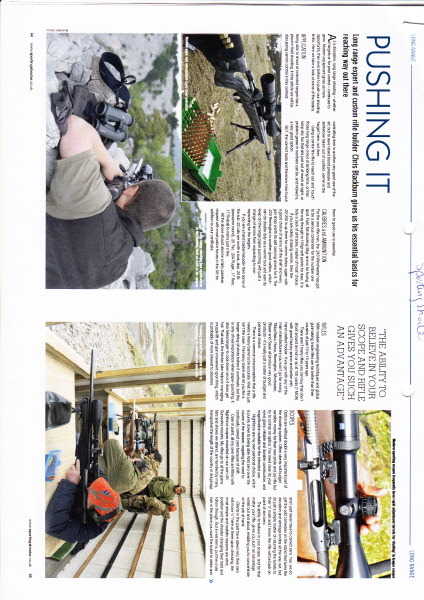 The full article can be seen in Sporting Shooter magazine. We thank Chris for his time in reviewing and testing the product so thoroughly. The Kestrel 3500 Delta T Agricultural Weather Meter is an essential aid to farmers for determining the best conditions for crop spraying. The device delivers Delta T readings (the difference between the wet bulb temperature and the dry bulb temperature). Delta T offers a quick guide to determining acceptable spraying conditions. For example, it is not recommended to apply pesticides when Delta T is above 10 – a range of 2 to 8 is ideal. With the Kestrel 3500 Delta T, the calculation is done for you, accurately and simply. By also measuring other critical conditions, such as relative humidity and wind speed, the kestrel 3500 Delta T helps ensure safe and effective spraying. A trend arrow displays whether the pressure is rising, stable or falling, this trend is calculated over a 3-hour period. The pressure is monitored even when the 3500 Delta T is switched off. For long term environmental monitoring you can mount the Kestrel 3500 Delta T on a tripod in a wind vane, in this mode it can log the environmental conditions without human interaction. All Kestrel Weather Meters come with a 5 year warranty are waterproof to IP67 standard and drop tested to MIL-STD-810g standard ensuring wherever you are it will deliver the results with accuracy and reliability. Richard Paul Russell Ltd also design and manufacture fixed weather stations with data logging functionality for long term remote environmental monitoring. 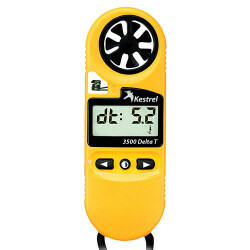 The Kestrel 3500DT Agricultural Weather Meter is available in a yellow coloured case (RRP £243). The Kestrel Tripod comes with a carry case (RRP £84) and the Kestrel Vane Mount comes with a padded nylon carry case (RRP £63). 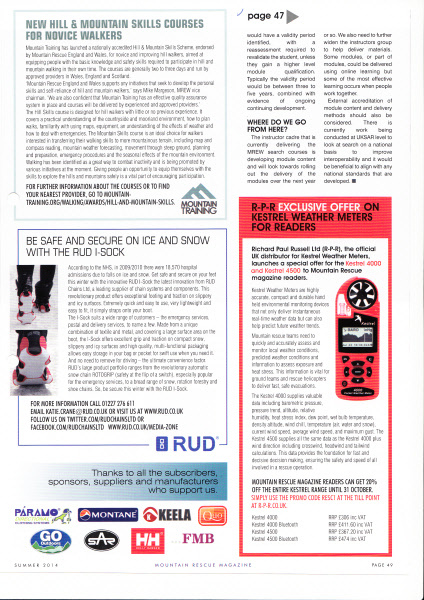 Richard Paul Russell Ltd are pleased to announce they have partnered with Mountain Rescue Magazine to promote the Kestrel 4000 and Kestrel 4500 weather meter range. 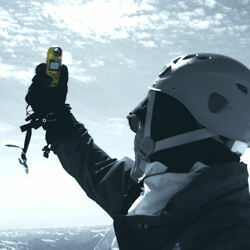 Kestrel Weather meters deliver vital information that will help mountain rescue teams quickly and accurately assess and monitor local weather conditions, predicted weather conditions and information to asses exposure and heat stress. This information is vital for ground teams and rescue helicopters to deliver fast, save evacuations. 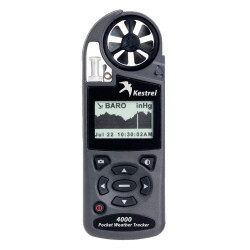 The Kestrel 4000 supplies valuable data including barometric pressure, pressure trend, altitude, relative humidity, heat stress index, dew point, wet bulb globe temperature, density altitude, wind chill, temperature (air, water and snow), current wind speed, average wind speed and maximum gust. The Kestrel 4500 supplies all the same data as the Kestrel 4000 plus wind direction including crosswind, headwind and tailwind calculations, vital information for rescue helicopter teams and ground crew. Both models will log all data that can then be shared using the Kestrel Communicator Software, useful for reports and later analysis. We hope this partnership will help promote this valuable tool to all mountain rescue teams to assist them in making accurate, fast and decisive decisions, ensuring the safety and speed of all those involved in a rescue operation. To support this partnership we are offering 20% off all Kestrel 4000 and Kestrel 4500 weather meters when using promo code RESC1 on our web shop. The Met Office has released a ‘Level 2’ heat health watch warning for England and Wales over the next few days. The Level 2 Yellow — Alert and readiness is triggered as soon as the risk is 60% or above for threshold temperatures being reached in one or more regions on at least two consecutive days and the intervening night. This is an important stage for social and healthcare services who will be working to ensure readiness and swift action to reduce harm from a potential heatwave. Heatwaves can be dangerous, especially for the very young or very old or those with chronic disease. Advice on how to reduce the risk either for yourself or somebody you know can be obtained from NHS Choices at www.nhs.uk/summerhealth, NHS 111 or from your local chemist. If running any events, especially sporting it is advisable to monitor the wet bulb globe temperature to ascertain risk to participants and spectators. The Kestrel 4400 and Kestrel 4600 will give you the WBGT readings in real-time and at the exact location of the activity. In addition both devices will log all the data for the duration of the event for later records. 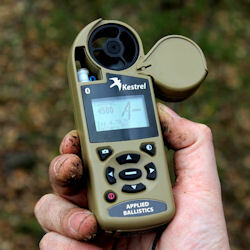 Richard Paul Russell have ordered their first shipment of Kestrel DROP data loggers and expect delivery in Mid August. 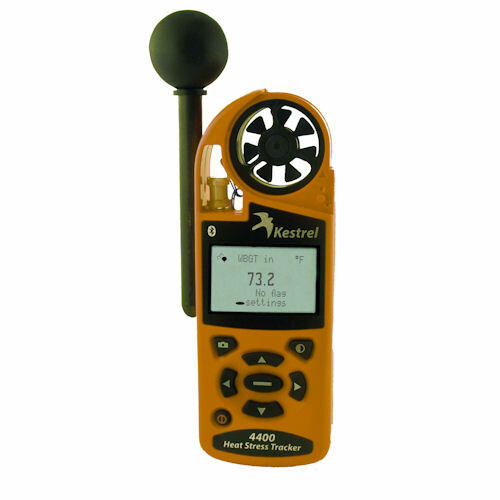 Kestrel DROP’s are a logical product extension to the existing Kestrel wind and weather meter range and deliver the same high quality environmental data readings in a highly durable and compact waterproof enclosure. What makes Kestrel DROP’s truly unique is their flexibility and connectivity. The size of a key fob they can easily be left next to goods in transit or carried on your person. The Bluetooth® Low Energy (BLE) connectivity allows data to be passed in real-time to users smart phones (currently compatible with iPhone, iPad and iPod). 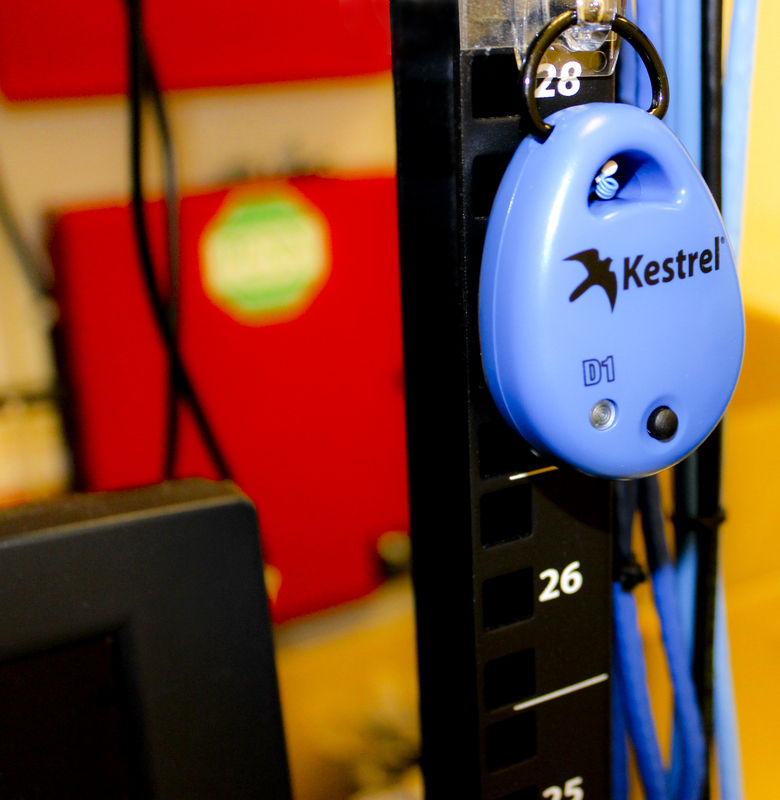 This makes the Kestrel DROP an extremely cost effective remote data logging tool with endless applications. 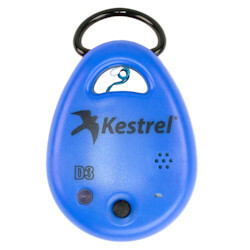 Kestrel DROPS come in 3 variants from a simple temperature data logger (DROP 1). The DROP 2 measures temperature, humidity, heat index and dew point temperature. The DROP 3 which is due for launch later in 2014 is capable of measuring a full list of parameters: Temperature, humidity, heat index, dew point temperature, wet bulb temperature, density altitude, barometric pressure, moisture content, humidity ratio, relative air density and absolute pressure. Currently Richard Paul Russell is in discussion with transport companies, vaccine storage facilities, livestock management businesses, supermarkets and many more. We look forward to an extremely successful product launch. If you are interested in Kestrel DROP’s or want to trial one please contact us on 01590 679755 or email us at sales@r-p-r.co.uk.